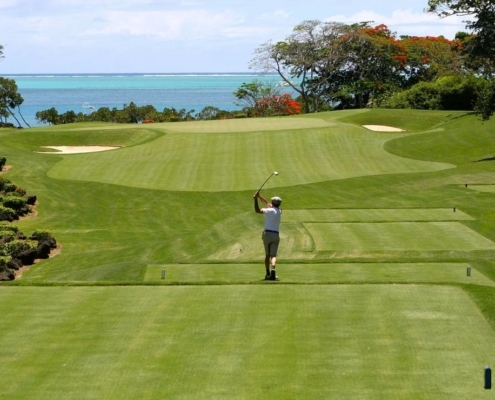 Drivers serve two purposes in the game of golf, 1) To smash it as far down the fairway as possible. 2) To take a club length relief if that shot ends up behind a tree. With so many to choose from how do you know which Driver to buy? In this article we’ll be discussing what Driver you should be looking for, the technology behind them, the ultimate impact conditions for maximum distance and some recommendations for the latest models. Drivers have advanced hugely in the last 30 years, gone are the days of persimmon with their tiny heads and steel shafts…now we have 460cc of Titanium power with adjustable lofts, lies and face angles all designed to maximise distance. Titanium is lighter and stronger that steel so the golf driver heads can be made bigger producing a larger sweet spot. The added strength means the club face can be made thinner giving maximum spring effect sending the ball farther down the fairway. For more information read this article from golf-components. Club manufacturers need to follow certain guidelines as laid out by the USGA. Their designers then come up with a clubhead that fits in with these criteria. Over the years you will have seen many different shaped heads all designed to get the most distance and forgiveness. We’ve had square shapes from Callaway and Nike and even hollow backed models. Some have been successful, and some have fallen by the wayside. The majority however are pear shaped and pleasing to the eye. Most Drivers are 460cc, this is the largest they can be to conform to the rules and offer the most forgiving face. 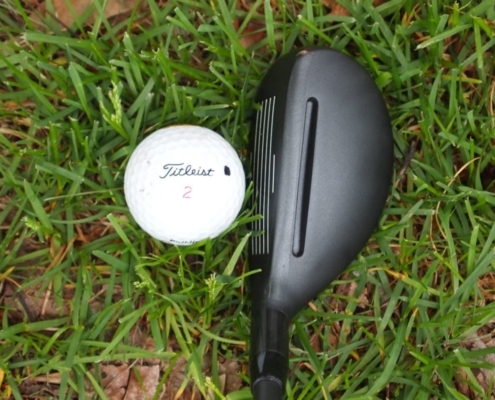 Some manufacturers make smaller headed Drivers and club manufacturer Taylormade even made a 260cc “Mini Driver” for those players who prefer to hit their fairway woods. If you are a better player that likes to shape the ball from the tee then go for a smaller 440cc head. If you like to smash it then the bigger head will allow you to hold nothing back. Titanium, Carbon, Tunsten? How about all of them! Most Drivers are Titanium as mentioned above, but these can be combined with composite materials depending on what the designers are trying to achieve. Carbon and Tungsten are often combined with Titanium, Carbon to make the club lighter so increasing club speed and Tungsten to maximise perimeter weighting allowing for increased MOI. Moment of Inertia refers to the forgiveness of a club. The higher the MOI the less twisting occurs from off centre hits producing more fairway finders. Now we get to the nitty gritty of the perfect golf drive. You need 4 elements to come together and by being custom fit for your Driver you should come up with a club that delivers the perfect launch conditions. Clubhead Speed – this is the speed of the club at impact. Ball Speed – this is the amount of energy transferred to the ball and how fast it leaves the club. Launch Angle – This is the angle that the ball leaves the club face both vertically and horizontally and is determined by the dynamic loft of the clubface and the swing path at impact. Spin Rate – this is the amount of backspin produces as it leaves the club and is measured in rpm. There are many variations of this and you need to find the right combination for your current game. There’s no point in aiming for the launch angle and spin of a professional if your swing is 20 mph slower. Take a look at this article from Trackman to see how you can change a few parameters to increase your distance. What Loft Do I Need? 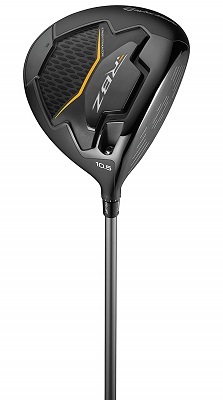 Drivers vary in loft from 8 – 14 degrees so with so many options how do you decide? As a general rule the slower the swing speed the more loft you will need. A higher launch creates greater carry distances and if you play on a course with trouble in front of the tee this is vitally important. Higher lofted clubs create more backspin which helps keep the ball in the air but there are more variables to consider, launch angle is not dictated by loft alone which is why it’s important to seek professional advice before spending your hard earned cash. Most modern Drivers are now adjustable. The hard part is deciding which setting to put it on. 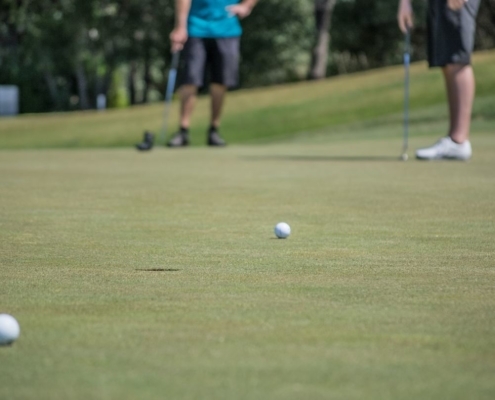 The advantage of this is you can alter depending on how you’re hitting it on the range before you play or if you’re playing in different weather conditions. Most adjustments are made in the hosel, sole and now even a removable face. Loft – some clubs can be moved up to 5 degrees which is a great feature especially if you improve your launch conditions over time. Face Angle – The face directs the shot and is the most important factor on ball direction. With a variable face angle you can close or open the face depending on your ball flight tendencies. More closed for slicers and more open for hookers. Weights – On the club sole weights can be repositioned to change the centre of gravity and MOI for optimal launch conditions. They can also be moved from heel to toe depending if you have a fade or draw bias. How Important Is The Shaft? The golf shaft is the driving force behind and club. You need stability with the irons to produce consistent distances but with a Driver you need maximum speed and stability at the moment of impact. 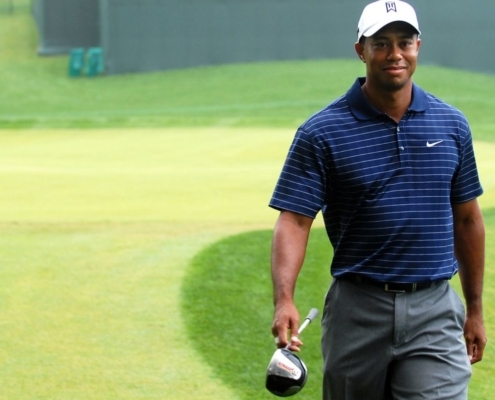 Golf Influence have written a great article going into more depth. Flex – this ranges from X stiff to ladies and determines the flight and distance of the ball. A more flexible shaft produces more speed and a stiffer shaft tightens the dispersion pattern. 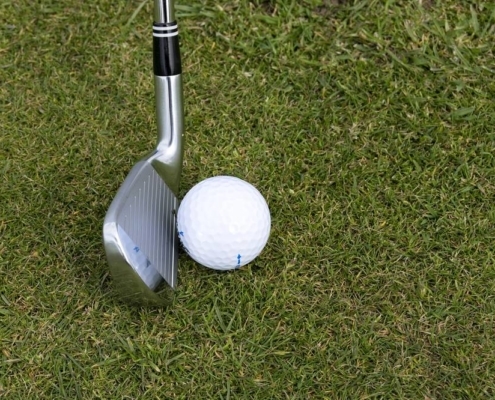 Kick Point – this is the highest point at which the shaft bends. A low kick point produces higher shots and a high kick point a lower shot. Torque – this is how much the shaft twists in the swing. A low torque creates a feel more like steel with lower consistent ball flights ideally suited to better players. A high torque creates more spin and speed ideal for slower swing speeds. Weight – the lighter the shaft the faster the swing speed but you may not feel the club head as well resulting in mis-hits. On the other hand too heavy and you may feel exhausted by the end of the round. Length – Driver shafts vary from 44 – 48 inches long. The longer the shaft the more speed you can generate, but this isn’t always the best option as mis hits can occur. Most professionals use 44 or 45 to get more control as distance isn’t a factor for them. Have a play around and see which feels better for you. We recommend getting custom fit for a Driver and not buying straight from the shelf. Players have to start somewhere and knowing which Driver to buy is tricky. As your shots will be a little inconsistent to start you definitely want a larger head. For a man we’d recommend a regular shaft and 10.5 degrees of loft. As for the make, go for the best Driver you can afford and don’t be afraid to buy second hand or ex-demo. Manufacturers are always developing new clubs so a model that is several years old will still be good enough. 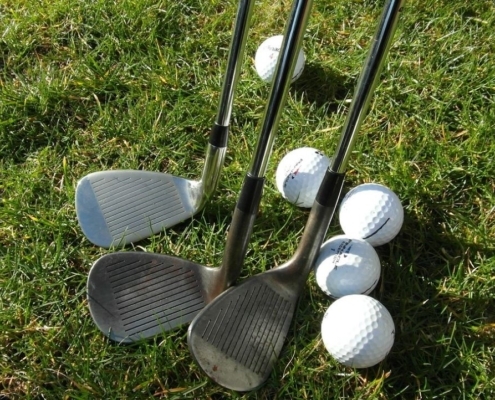 If you’re buying second hand you need to be wary of counterfeit clubs especially Callaway and Taylormade. As these two companies dominate the market they are always subject to copies. I’d recommend buying from Golfbidder or Taylormade Preowned to guarantee getting a legitimate club. Depending on what you’re looking for in a Driver here are our recommendations. 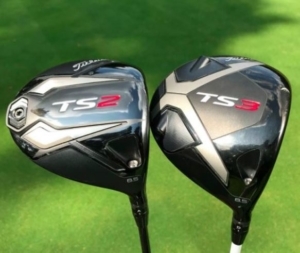 Titleist TS2/3 – One of the Tours favourite Drivers due to its shot shaping capabilities and improved distance over previous models, definitely one to consider for the better players. Ultra thin Titanium Crown allows weight to be shifted lower and deeper. New streamlined shape reduces drag by 20%, increasing clubhead speed for more distance. 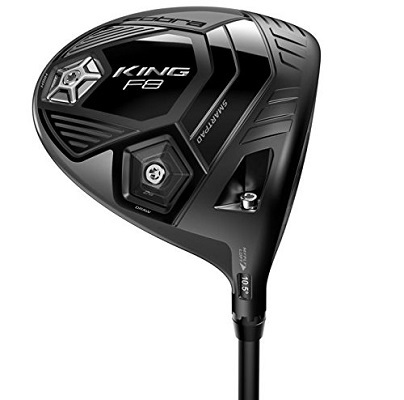 Taylormade MP6 – With its twist face technology and non-conforming head being injected with resin to bring it back to legal, this Driver means you can go hard and still keep it straight. The Speed Injection process is designed to maximize ball speed and distance in the M6 driver, achieving performance at or near the legal limit. Revolutionary new face curvature with a corrective face angle on off centre hits, engineered to reduce side spin and deliver straighter shots. Twist Face provides more loft in the high toe and less loft in the low-heel to produce more consistent spin where golfers commonly mis-hit. 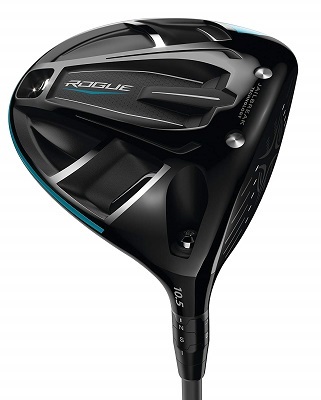 Sleek, aerodynamic shaping designed to provide increased clubhead speed for more distance. Callaway Epic – Jailbreak technology with its titanium bars connecting the sole to the crown, the Epic produces maximum flex across the club face for outstanding ball speeds. Callaway engineers used Artificial Intelligence and Machine Learning to create a radically different face design to promote faster ball speed in the centre region of the face. This is a great video where Rory McILroy gets together with MeandmyGolf to demonstrate how he hits the Perfect Drive. We hope you found this article helpful whatever level of golfer you are. You’ve read about the entire make up of a Driver, the technology behind them, the importance of launch conditions, the role of the shaft and a few pointers from one of the best drivers on the planet. If you are happy with your Driving but are looking for maximum distance then I’d recommend getting custom fit before splashing out. Go to a specialist rather than a high street retailer, you want to find someone who uses Trackman or a similar launch monitor as they will be able to give you all the info you need and you should be able to try out a few different Driver models. If you’re driving is inconsistent then you need to seek out your local Professional to iron out any flaws in your swing. If you have a big slice or hook then technology won’t fix it.